The Florida Highway Patrol is investigating a wild hit-and-run caught on video in Tampa, Florida. 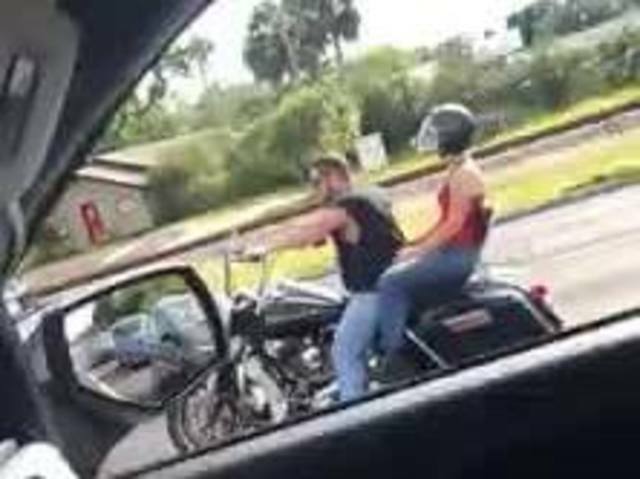 Cell phone video shows what appears to be a driver of a silver car deliberately plow down two people on a motorcycle. The incident happened around 5:35 p.m. on Monday. According to witness, Abe Garcia, who captured the incident on video, the driver of the motorcycle confronted the driver of the car after he witnessed the car cut the motorcyclist off. Garcia told local media outlet WFTS he saw the two yelling back and forth. “The light turned green and the guy wasn’t having it. The man turned right and tried to run him over. The tire actually scraped,” Garcia posted on Facebook. Action News has reached out to the Florida Highway Patrol and is awaiting an official report. Both passengers on the motorcycle were taken to the hospital.